For the commercialization of Fraunhofer´s tape-placement and tape winding systems with in-situ-consolidation by the usage of laser or IR heat sources the two AZL Partners Conbility GmbH and Fraunhofer IPT, Aachen started their long-term cooperation. The AZL Partner Company Conbility GmbH makes 25 years of expertise in special machine development of tape placement systems of the Fraunhofer Institute for Production Technology IPT commercially available with this cooperation. Conbility offers two different tape processing systems available in different configurations. The “PrePro 2D” machine system (fig. 1&2) allows for the automated tailored tape placement of UD laminates and which can be used for subsequent thermoforming or as stiffening structures in injection molding processes. The machine comprises a rotating and translational table which is moved relatively to the applicator station. 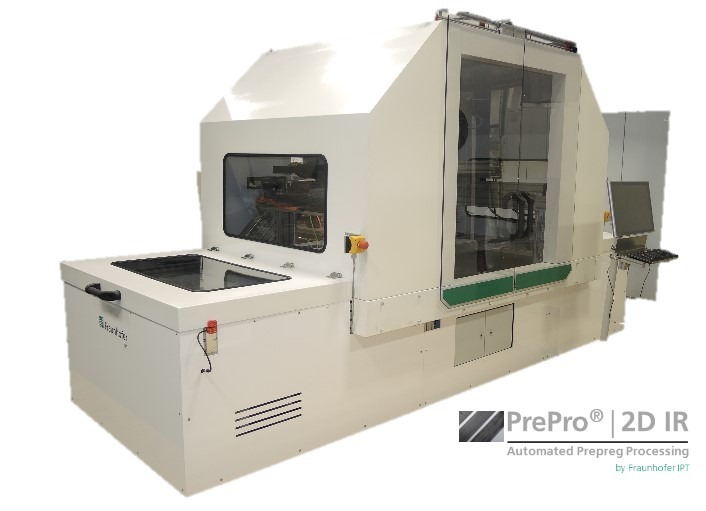 Furthermore, the award-winning “PrePro 3D” tape placement and winding applicator is available as modular product with decentral control system (including closed-loop control of energy input into the processing zone) for the “plug-in” implementation in existing robot systems or machine systems by standard interfaces for the communication with the master control system. 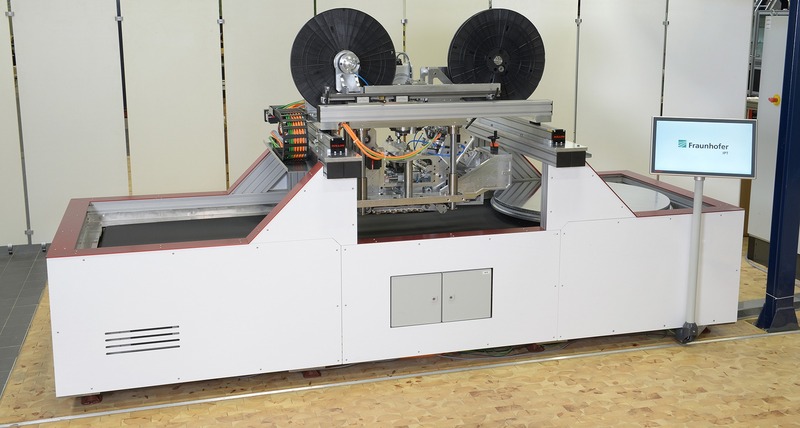 During the JEC World in Paris (March 6th – 8th 2018), Conbility GmbH will present its new “VCSEL Tape Placement and Winding Applicator”, developed in cooperation with Fraunhofer IPT and Philips Photonics at the AZL Composites in Action area (Hall 5A, C55).